How to add a new member to a group? Open the group you wish to modify. Click +Add and select Invite user from the dropdown menu. Type in the person’s email address. 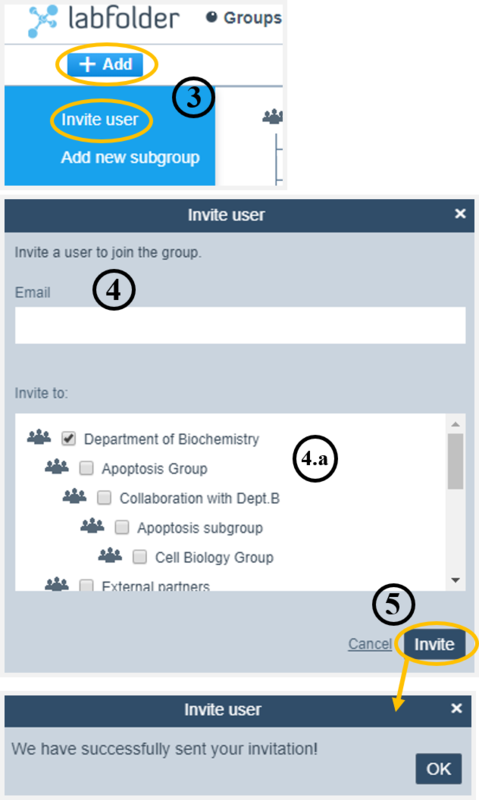 If your group contains subgroups, you can specify the subgroup in which the new member joins by selecting the subgroup from the list. If the person has not yet registered a labfolder account, he/she will receive an invitation email to create one. You have to be an admin of a group to invite someone to join.